The contribution of DKT to the increase in family planning use in Nigeria has been significant, filling a gap that only a diverse and energetic social marketing program could do. Our method of distributing contraceptives is called Contraceptive Social marketing (CSM). By informing people about the advantages of birth control, describing specific methods and offering low-priced contraceptive brands, CSM seeks to change behavior in a very specific and measurable way and increase contraceptive use. DKT Nigeria has a national distribution reach and has a timely tenacity of a 24-hour delivery window or less to any part of Nigeria. Our direct selling to providers through our own distribution network of Medical Sales representatives has made contraceptives easily accessible, available and affordable. 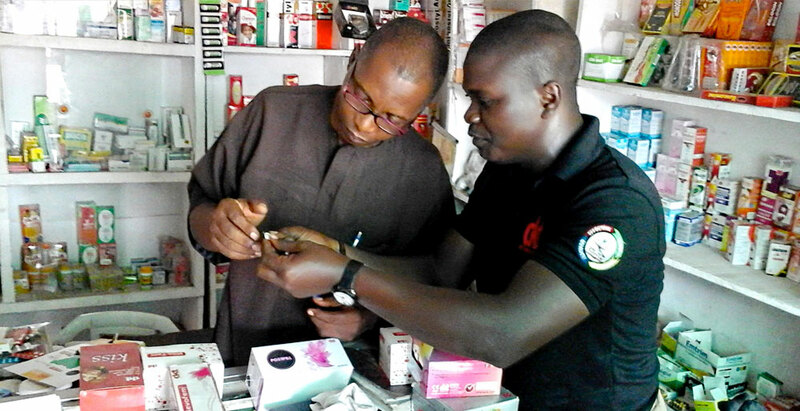 DKT Nigeria Medical Sales Representatives (MSR) team ensures a wide distribution of contraceptives through a range of private sector channels and visit every clinic, hospital, maternity home, convalescent center, pharmacy, PPMV (Proprietary /Patent Medicine Vendors) and individual providers directly. These Medical Sales Representatives supply contraceptive products, detail on a one-to- one basis, build providers’ capacity, identify training needs and finally ensure the facility is well decorated with DKT merchandizing/marketing materials, (banners, posters, leave behinds, booklets and fliers) which help to prompt women visiting their facilities for other health services to ask their health providers about contraceptives.Our brands include: Kiss and Fiesta condoms, Postpill emergency contraceptives, Levofem daily contraceptive pills, DMPA Sc, Lydia IUDs, Implanon NXT and Jadelle implants and IPAS Manual Vacuum Aspirator kits.